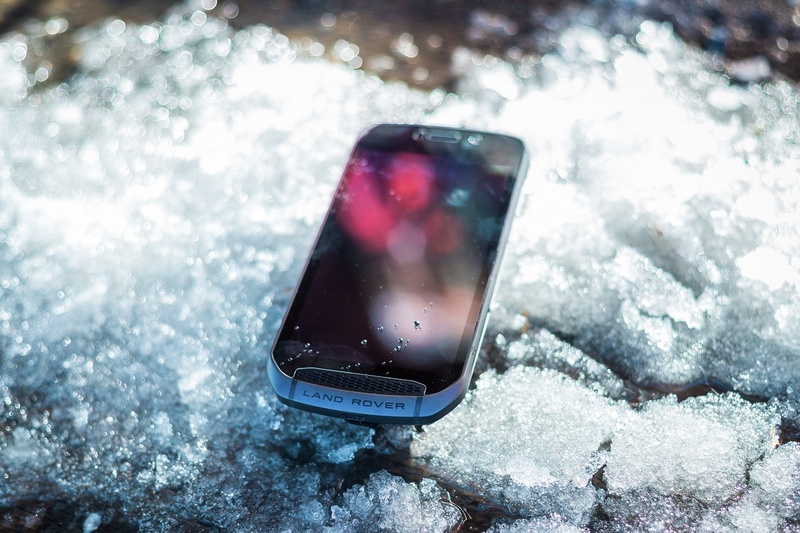 Seven reasons why the Land Rover Explore outdoor phone is ideal on the slopes and on mountain adventures. Not everything enjoys being taken into the mountains, least of all a smartphone. The snow and cold are particularly able to kill your battery life – not to mention the blood flow to your hand every time you take off a glove to use it. You can say goodbye to these worries, as well as cracked screens, when your phone’s a Land Rover Explore Outdoor phone. Here are seven reasons why it’s tailor-made for the mountains. Most smartphones have an operating temperature between 0ºC and 35ºC. The temperature range of the Explore is from -30º to 60ºC, so you’re not going to have any issues from the cold (or heat) – even if you’re skiing somewhere seriously cold. It also means you don’t have to always keep your phone close to your body for warmth – it will be ok left in a backpack. Take a glove off to make a call in the mountains and it’s not long before your hand starts freezing in the cold. 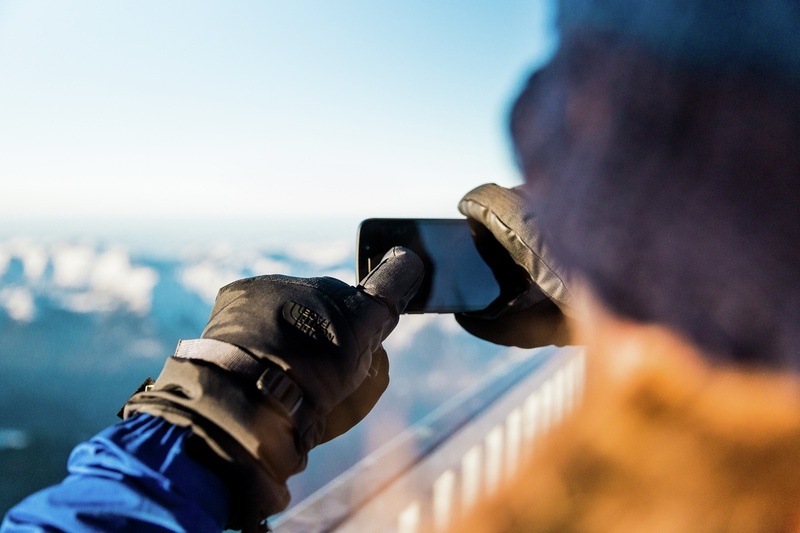 The Explore phone has a ‘Glove Mode’ that puts an end to that, enabling you to tap the screen with your gloves on. (Turn on Glove Mode in settings > display.) Your fingers will thank you. Running out of juice is annoying at the best of times. But in the mountains your phone is not just a useful tool for checking the weather, tracking your route or finding your friends. It could be a lifesaver. With the Explore you get nearly double the battery capacity thanks to the included Adventure Pack which connects magnetically to the back. It also boosts your GPS signal for better connectivity. And if you do need to call for help, there’s a dedicated SOS button within the Outdoor Dashboard app that sends a text with your location to a designated number. If you’re somewhere not covered in your roaming package, an additional SIM card for local calls and data can be extremely useful. The Explore lets you have two SIM cards on the go, ensuring you can take advantage of cheaper calls and data while your regular number works as usual and you don’t burn through your own data package as quickly. Once inserted, set up your preferences and select the SIM you want to use for calls, texts and data. It doesn’t matter if the Explore gets cold or wet. It is waterproof, so it will handle the wet snow. It is drop-proof, meaning it will survive drops onto ice, and is tested to MIL-STD-810g which is a standard the military use. So, if it passes their test, it’s going to cope with any hazards on and off the slopes. Ever stood admiring a panoramic view of snowy peaks across the horizon, and wondered what they were called? Or did you need to get your bearings in a whiteout? The Explore’s pre-installed ViewRanger App does just that. Hit the Skyline button and it hovers their names above the peaks in real time as you view them through the phone’s camera. ViewRanger itself is a great tool for skiing. It lets you discover fresh routes and record your runs so you can see your vertical descent at the end of the day while the free ski maps ensure you never get lost. It also boasts BuddyBeacon to track your friends or children on the mountain. The Explore comes prepped for the outdoors, and not just for the ski slopes but for hiking, mountain biking, and many other mountain sports. 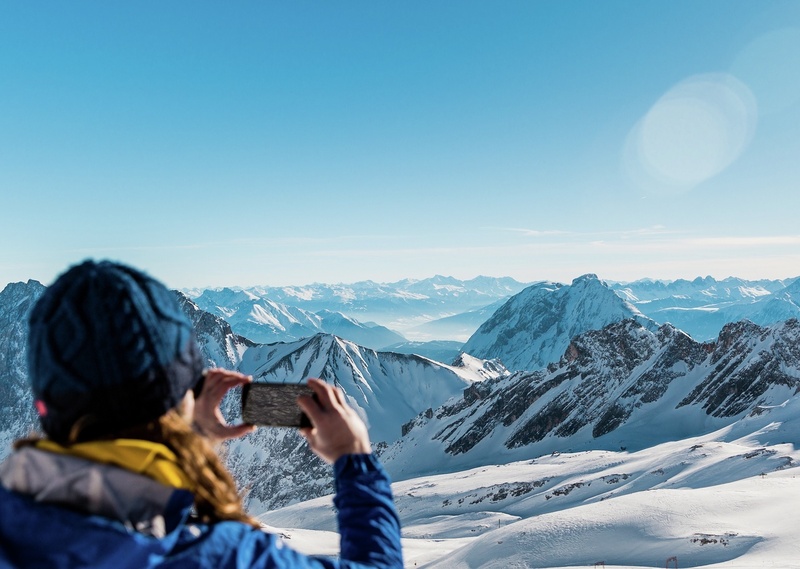 One tap opens up the Outdoor Dashboard app, home to useful tools like torch, compass and altimeter, and skiing specific weather data such as chance of snow, freezing height and visibility distance. You can choose a pre-set layout or create your own custom set of tools that best suits your activity. The Explore Hub meanwhile is home to curated apps and content. 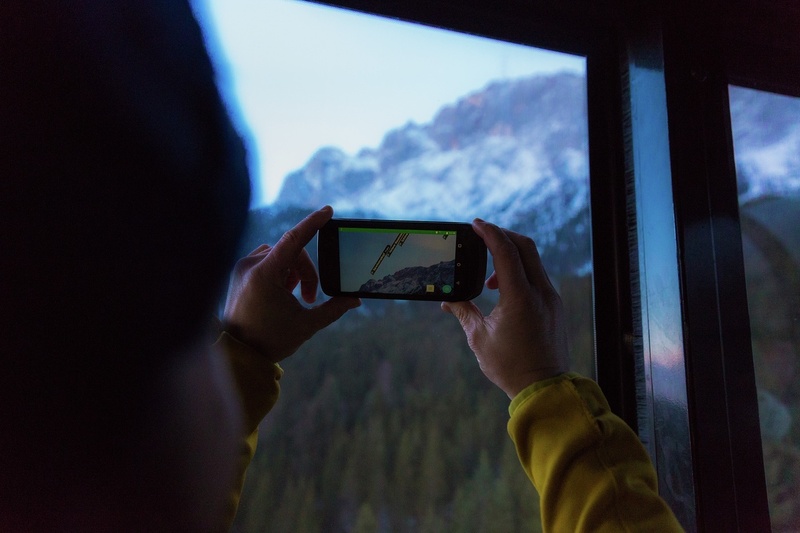 Tap Winter Sports for our list of top ski apps.